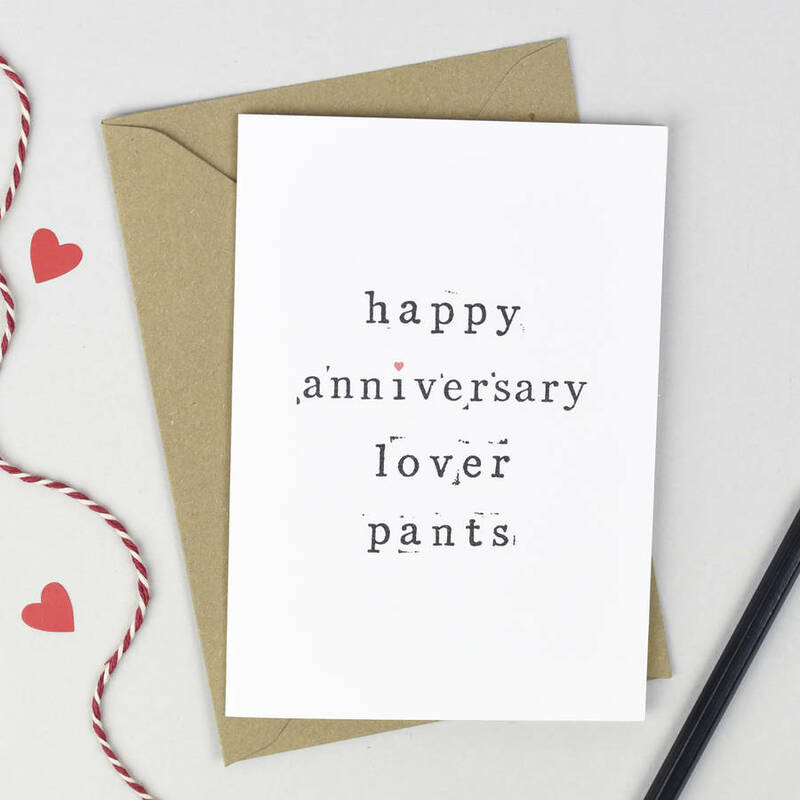 A humorous card designed to wish your special someone a happy anniversary. The words were handstamped by me and then digitised to create a 'font' that still feels handmade. 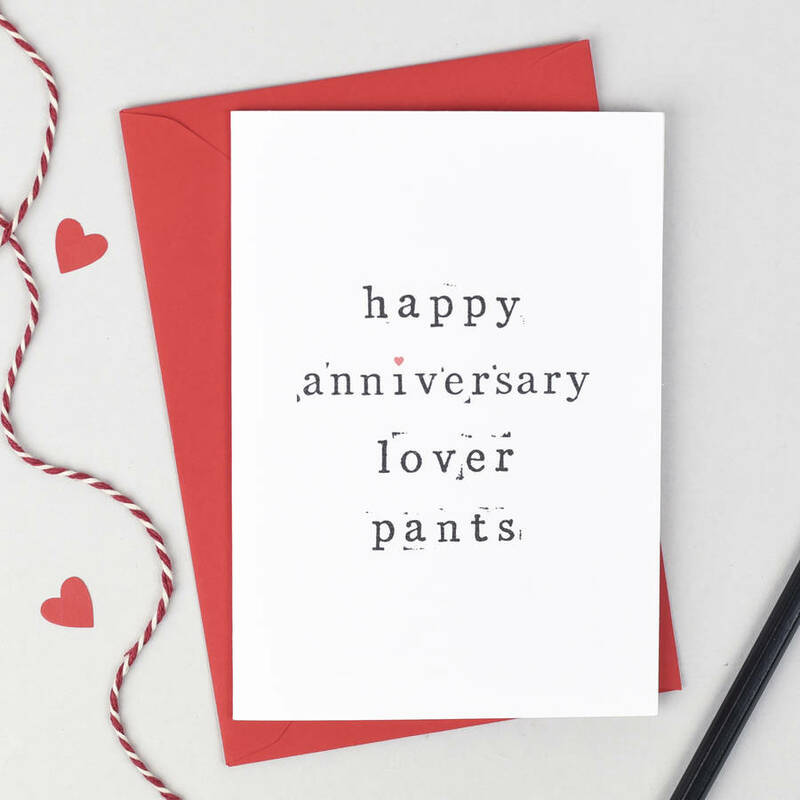 The card is left blank inside. Each card comes with a 100gsm C6 poppy red or kraft brown envelope and packaged in a cellophane wrapper. Printed here in Norfolk on a clean and crisp 280gsm card stock with a soft lined texture. This product is dispatched to you by The Two Wagtails.